Canada Goose issued a statement, declaring: "We do not condone any willful mistreatment, neglect, or acts that maliciously cause undue pain, injury, or suffering towards animals, and we are committed to providing full transparency about how we make our products." So, I'm confused. Is torturing a coyote for her fur to line a jacket's hood not willful? Is it accidental? I'm so confused. Well, I'm often confused by animal cruelty, mistreatment, and assaults on endangered species. But, at the moment, I'm just confused—mystified, really—at certain concepts involved in animal exploitation. What is "willful mistreatment" of animals? What is "undue pain, injury, or suffering towards animals?" I ask because Canada Goose, the maker of self-described "luxury apparel" and extreme weather outerwear, has responded to the public backlash against its use of down feathers and coyote fur in its products. The company issued a statement, declaring: "We do not condone any willful mistreatment, neglect, or acts that maliciously cause undue pain, injury, or suffering towards animals, and we are committed to providing full transparency about how we make our products." So, I'm confused. Is torturing a coyote for her fur to line a jacket's hood not willful? Is it accidental? And, even if we suspended disbelief and agreed it was not willful, but that it happens nonetheless—shouldn't it still stop? 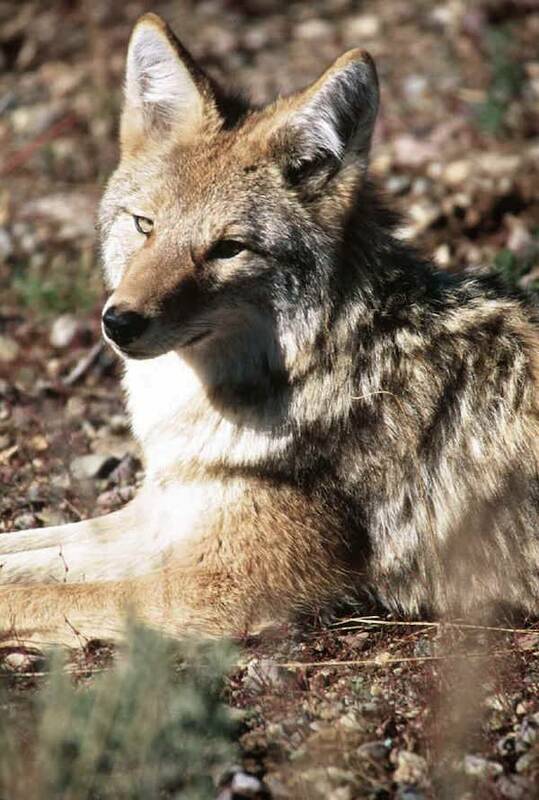 Does the coyote care about the intention behind the action that leads to suffering and pain? When pain is caused, what makes it "undue?" Is there a wild coyote who is due to suffer pain and injury for a jacket? From the coyote's perspective, isn't all of the pain undue and unnecessary? Let's focus on the fur. Canada Goose declares that it only uses "ethically sourced down and fur." I assume that means coyotes who have died of natural causes—because to trap, shoot, slaughter, and skin a coyote to line a coat is not remotely ethical. The company proudly boasts that it is committed to a traceability program that ensures no fur comes from horrid fur farms: only from licensed trappers who abide by the law. Well, Born Free USA's undercover trapping investigations, Victims of Vanity and Victims of Vanity II, will tell you all you need to know about the ethics of the American trapper, the brutality of the trapline, and the adherence to a strict code of ethics and the law. We are (remarkably) supposed to be reassured that the fur only comes from regions in North America where coyote populations are highly abundant (you know, where they are "considered a pest as they attack livestock... and sometimes even people!"). Again, I'm hopelessly confused, because there were once 100,000 wild tigers, 78,500 African lions, and 1.2 million African elephants. The list is long of species that were once bountiful, were commercially exploited, and now cling perilously to their very existence. We have embarrassingly short memories, don't we? Fear not, animal friends! Canada Goose finally, casually, tells us that it knows that "wearing fur is a personal choice and we respect that." We are not fooled. This is not about personal choice, humane trapping standards, or scientifically-sound wildlife management. This is about greed and animal abuse. It's about unnecessarily causing wild animal suffering. Not undue suffering; inexplicable, indefensible suffering to make a jacket into a luxury item and jack up the price. People for the Ethical Treatment of Animals (PETA) is intently campaigning against Canada Goose and the horrible wild animal exploitation the company shamelessly justifies. You should take a stand, too. We know that public pressure can bring about corporate change. Tell Canada Goose that, if it really wants to be an ethical company, it should start by cutting out the use of fur. If we were talking about the mistreatment of a young child and someone said not to worry—that her mistreatment wasn't willful—most of us would erupt with outrage. Mistreatment is mistreatment. If we said someone caused her pain but not to worry—it wasn't undue pain—most of us would erupt with outrage. It's either mistreatment or it's not. It's either painful or it's not. And then, we can dutifully explore the issue of the down in the jackets itself. Willful mistreatment? Undue pain? It's 2017. Keep it simple. No pain. No suffering. No mistreatment. No coyote trapping.